A special 10th anniversary edition of The BBC Food and Farming Awards with an all star line up including Raymond Blanc, Alex James and Hugh Fearnley-Whittingstall. A special 10th anniversary edition of the BBC Food and Farming Awards with an all-star line up including Raymond Blanc, Alex James and Hugh Fearnley-Whittingstall. After sifting through thousands of nominations a team of judges has spent the last few weeks travelling around the UK visiting this year's finalists, watching them at work and tasting their food. In the programme the winners in nine different categories will be revealed. Find out who is producing the nation's Best Takeaway, which pupils are being served the best school meals and who has won the much coveted title of BBC Food Personality of The Year. 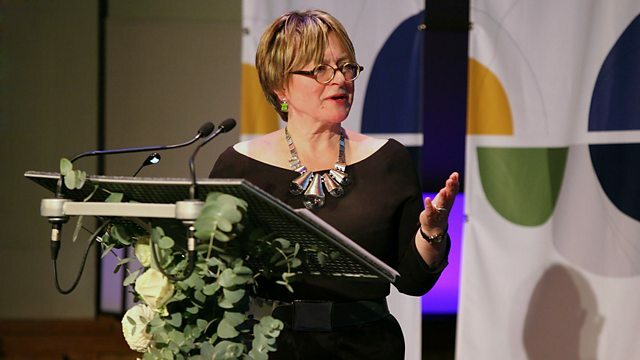 Sheila Dillon, presenter of The Food Programme, hosts the awards, and is joined by two special guests. A Ryan butchers, Much Wenlock, Shropshire. M&M Richardson, Fishmongers, Dungeness, Kent. Donaldsons Shop, Stanhope, Co Durham. Eye Country Market, Eye, near Diss, Suffolk. Riverside and Roathside weekly markets, Cardiff. The Goods Shed, Daily Market, Canterbury, Kent. Thali Café, Bristol.Chang Noi, Mickle Trafford, Chester. Traditional Fish Smokery, Under the Arches, Brighton. Patricks' Kitchen, The Goods Shed, Canterbury. Andrew Dennis, Woodlands Organic Farm, Boston. George Steriopulos, Manx Loaghtan Sheep, Isle of Mann. Geoff and Rosemary Brown, Bluebell Dairy, Derby. WINNER: Andrew Dennis, Woodlands Organic Farm, Boston. The Somerset Cider Brandy Company, Martock, Somerset. Trealy Farm Charcuterie, Mitchel Troy, Monmouth. The Exmouth Mussel Company, Exmouth, Devon. WINNER: Trealy Farm Charcuterie, Mitchel Troy, Monmouth. Sarah Allen, The Vine Primary School, Cambourne, Cambs. John Rankin, Penair Secondary School, Truro, Cornwall. Peter Anderson, Donaldson's, School for the Deaf, Linlithgow. WINNER: John Rankin, Penair Secondary School, Truro, Cornwall. The Food For Life Partnership. Ian Pigott for Open Farm Sunday. WINNER: The Food Ethics Council. Growfair - Pride of Cornwall, Bodmin, Cornwall. The Rare Tea Company, London. WINNER: Growfair - Pride of Cornwall, Bodmin, Cornwall.